Day four north of the border and alas our run of good weather has finally come to an end. Peeling back the curtains this morning revealed nothing but heavy mist and driving rain, the valley obscured bar only its closest features. Once upon a time I could have imagined nothing worse but I think as time has passed I’ve mellowed and now saw this brief interruption to proceedings as an opportunity to catch up on my reading and make plans. Even so there’s still a limit to how much time I can sit not doing a great deal and by early afternoon the cloud had lifted and rain subsided sufficiently to warrant an exploratory venture out. Of course the next squally shower blew in almost immediately but we persevered and arrived at our little beach in comparatively dry conditions. It was however far from warm with a cold wind blowing straight in off the sea making it rather too chilly for standing around but the sight of a juvenile White-tailed Sea Eagle had a strangely distracting effect. It appeared to be carrying something long in its talons, possibly seaweed although for what purpose we couldn’t fathom. Nesting material perhaps? It reappeared a short while later sans cargo so that theory may carry a little weight. Other occupants of this rocky inlet were thin on the ground with even the ubiquitous Rock Pipits having taken a leave of absence. I had hoped for an early Wheatear or two but it looks like we may have to wait a while longer for them to arrive. There was however a Grey Wagtail briefly as well as a couple of Rock Doves before a lone Raven glided almost forlornly overhead. At this point the sensible thing to do would have been to head for the warmth of a log fire but when has sense ever prevailed. Instead I was keen to see if I could locate where the sea eagle may have been carrying its cargo but despite scanning the surrounding cliffs and ledges I was left none the wiser. Instead we turned our attention to the sea where a distant Grey Seal bottling seemed to be about as good as it was going to get. Oh how wrong were we. 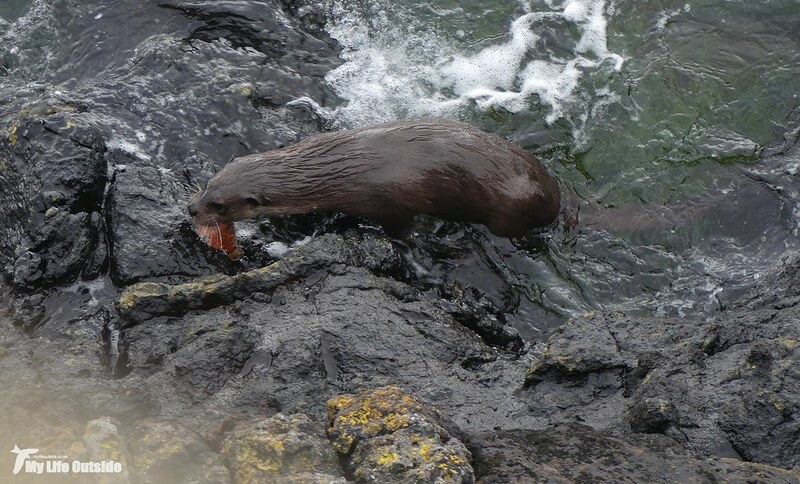 Emma was the first to spot the Otter, initially about thirty metres offshore and devouring a large fish. Meal consumed it dived beneath the choppy waters but returned almost immediately with an even bigger catch. 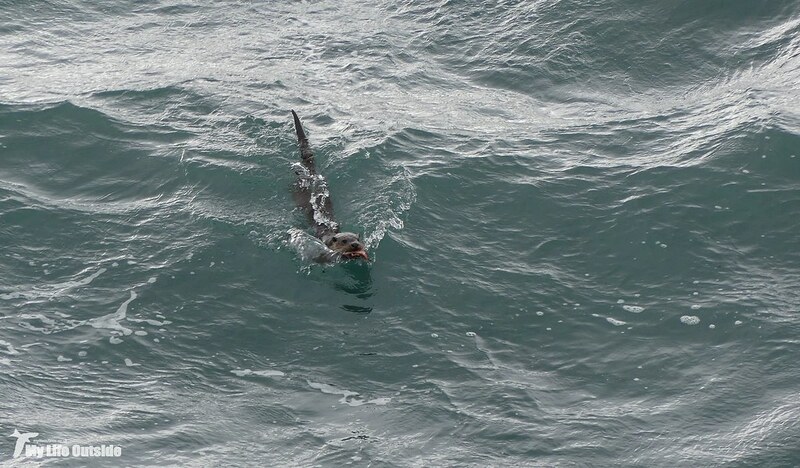 Clearly this one was going to take a little more handling and with strong jaws clamped around its prey the Otter turned and made a beeline for our position. By now we were hunkered down atop a low cliff, careful to ensure that our outlines wouldn’t be visible from the water and hoping beyond all hope that we’d find ourselves in prime position for what was about to unfold. 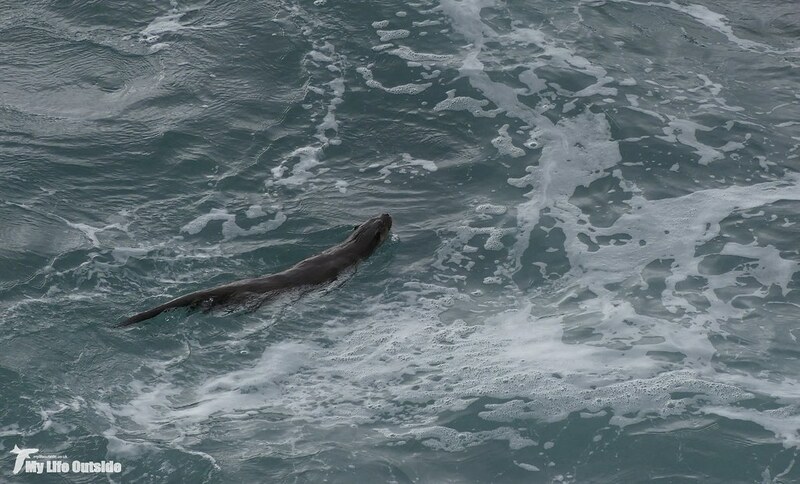 This close in the breakers were dwarfing the Otter and we got fantastic views as it rode each wave, its body often fully visible through the crashing water. 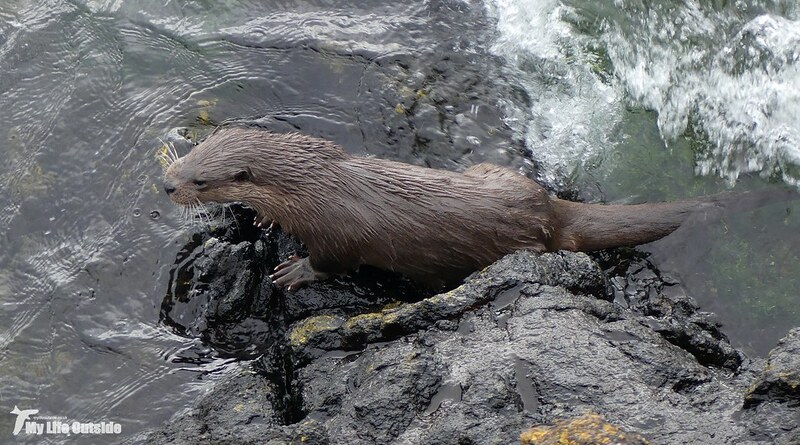 Then before we knew it the Otter was making landfall, pausing to shake off excess water before slinking across volcanic rocks and diving head-first into a rockpool directly beneath our position. There it seemed to play with its catch for a while, releasing the fish into a now captive arena before chasing it round with inevitable results. Fun over the Otter climbed onto dry land and finally began to tuck in, oblivious to its two hidden observers crouched just above. Needless to say we were in absolute awe throughout, scared to move more than absolutely necessary for fear of giving our positions away. Only once the Otter had finished its meal and continued to hunt further along the coast did we unfurl cramped limbs and fully take in what a privileged encounter we’d just been party to. Barely twenty four hours on Mull and already we’d ticked off the island’s big three, and in spectacular style at that. What a wonderful encounter. The Isle of Mull is a terrific place, we go there twice a year infact we are starting another week there on the 28th. Always something to see despite the weather.